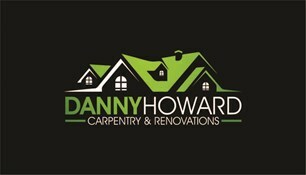 Daniel Howard - Carpenter based in Towcester, Northamptonshire. I'm Danny and I've been running my own carpentry business for 5 years now, I've undertaken a wide range of work including: building rooftop bars in central London, converting lofts to desirable living spaces or building bespoke fitted wardrobes, decking, doors and completing general building and renovation work including creating open plan kitchen space, Pitched roofs with veluxs, decking and pub sheds! I pride myself on honesty and hardwork and I'm always open to discussing ideas with customers to make sure everybody is happy with the end result of my work. No jobs to small and quotations are free. Don't hesitate to give me a call ? ?